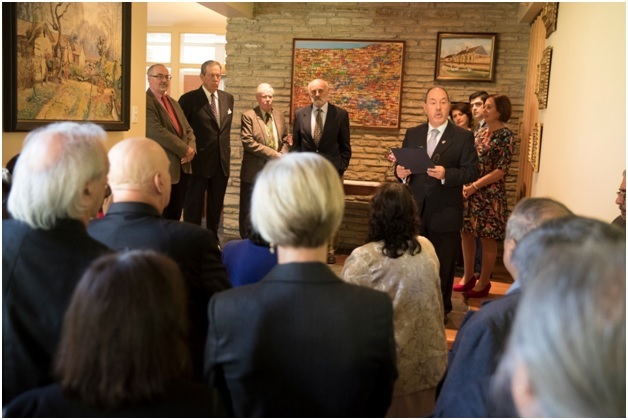 Former refugees during the ceremony at the home of the Ambassador of Chile. 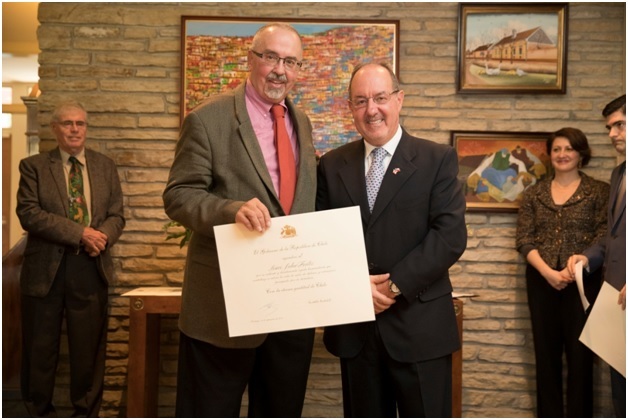 Dr. Foster was noted for “his tireless work and strong commitment on behalf of the respect of human rights in Chile and his active involvement in remarkable institutions like the Toronto Welcome Committee for Refugees, the Inter-Church Committee on Chile and its successor the Inter-Church Committee on Human Rights in Latin America. 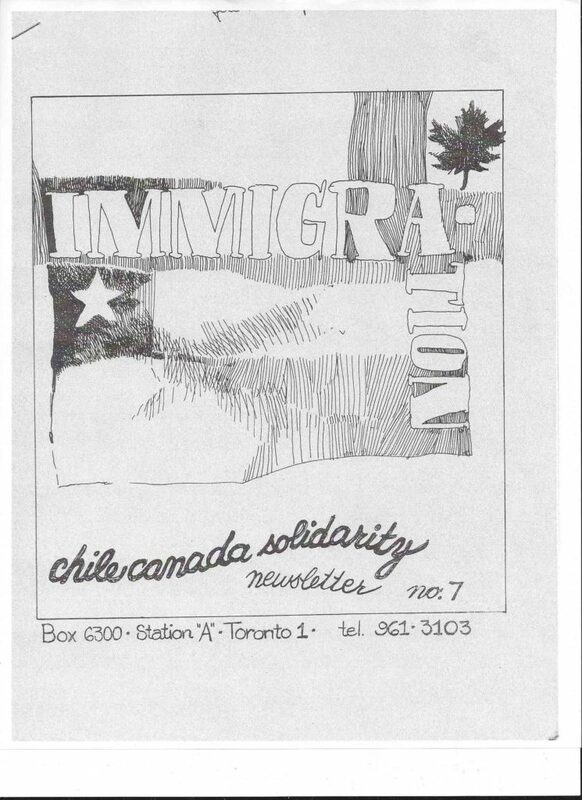 These institutions, as well as many other along Canada, played a crucial role in educating Canadians regarding the situation in our country and the rest of the region, as well as advocating for the implementation of policies that benefit the refugees and their families and organizing the support network that took care of those Chileans that arrived to Canada with the hope to start a new life in this country.” The Toronto-based Latin American Working Group (LAWG 1966-96) was a key element in these networks of solidarity. Photo left to right: John Foster, Tim Draimin (LAWG staff), Prof. Juan Magluaska, Prof. Lisa North, Bill Young (September 1973). 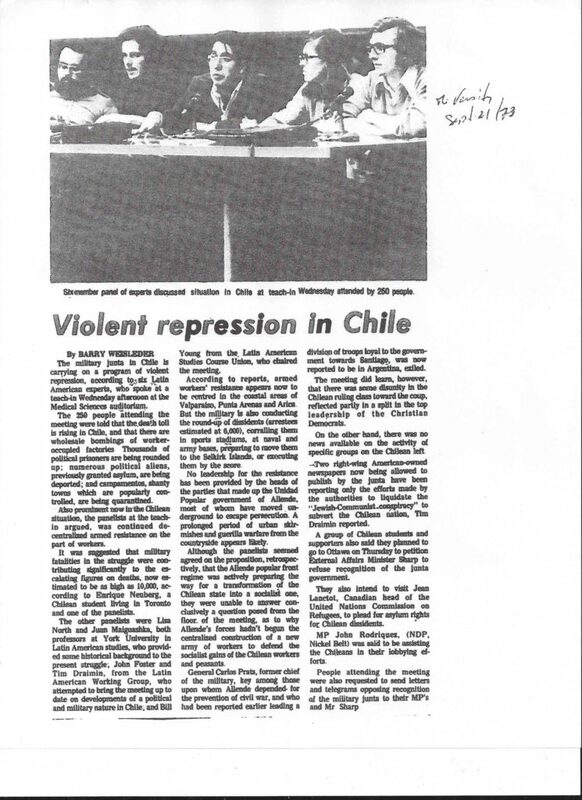 LAWG newsletter cover (Fall 1973). 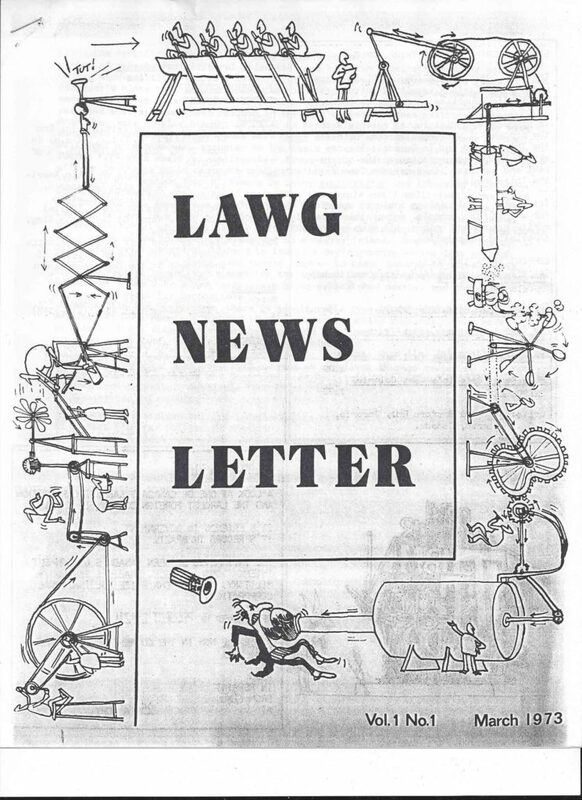 LAWG newsletter cover (March 1973). On Thursday February 16, I was at York for the launch of the LAWG collection. […] the event which […] quite wonderful. 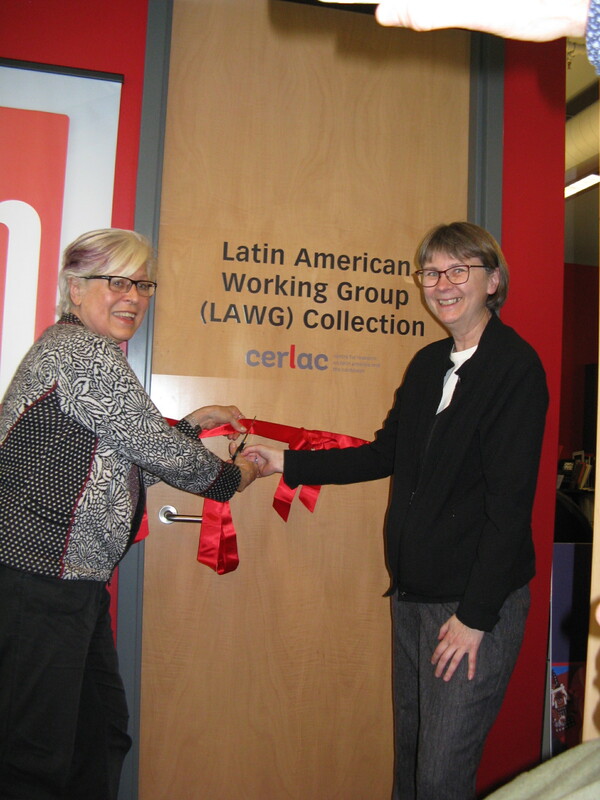 I attach the ribbon cutting moment, with Prof. Lisa North of York and Caese Levo, former LAWG librarian, both of whom have been instrumental in organizing the collection. We are so lucky that CERLAC negotiated space and is hosting. « Creche for the Children of Hospital Workers in Lusaka, Zambia, 1980-1981.